Here we go, with wonderful handheld salmon sliders. 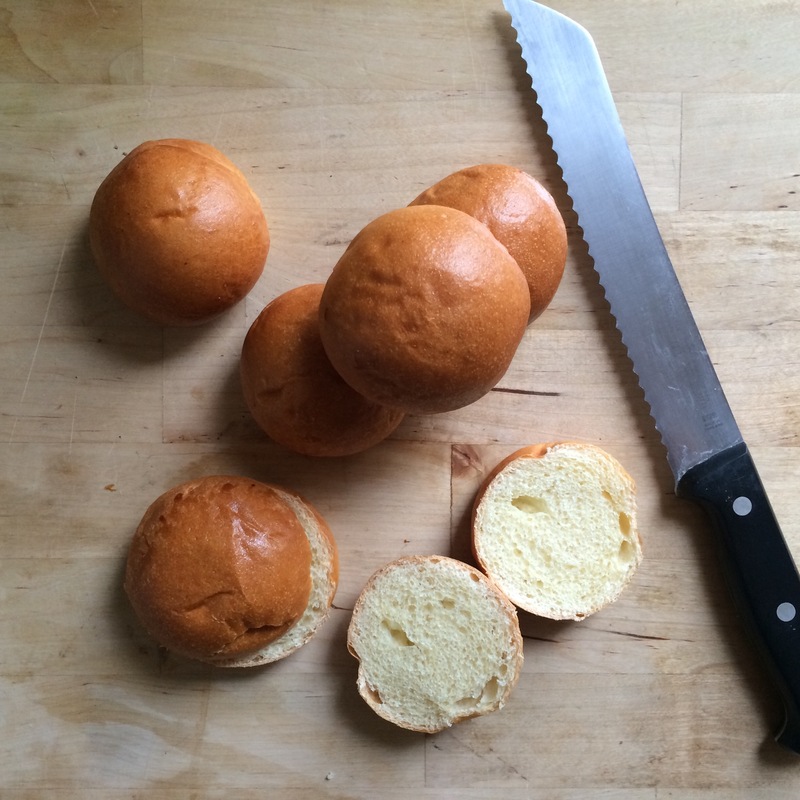 What’s not to like about a small handheld sandwich on a mini brioche bun? NOTHING. 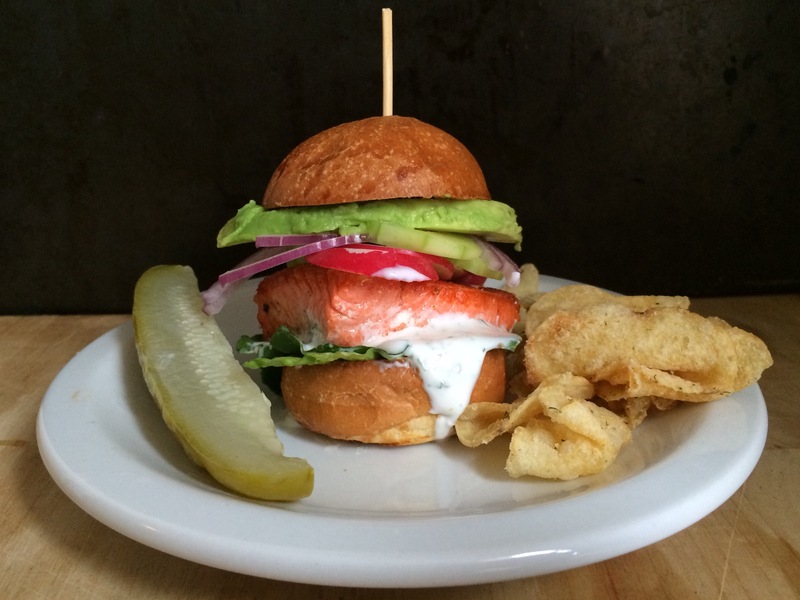 This version is stuffed with melt-in-your-mouth wild salmon, tangy dill and caper yogurt sauce, thinly sliced red onion, cucumber, radish, creamy avocado, and crispy Romain lettuce. Harmonizing all these ingredients is the yogurt sauce. 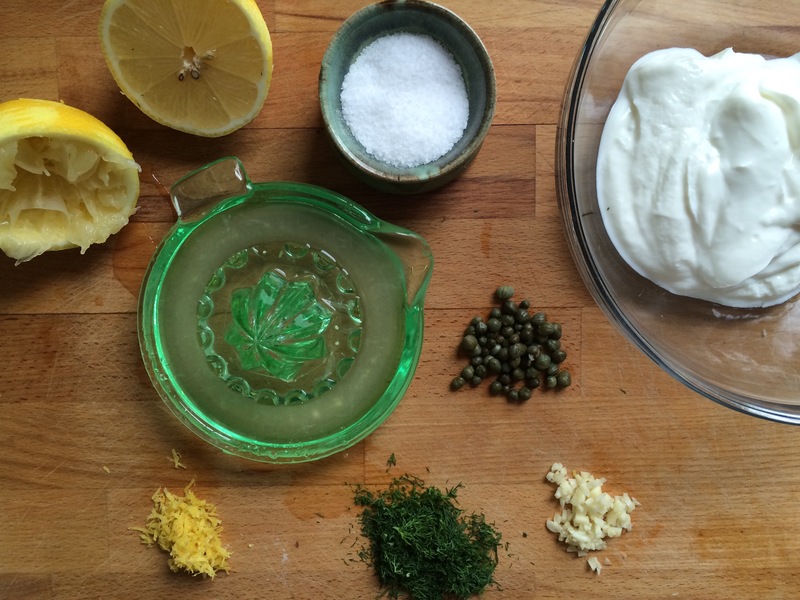 Simply combine plain yogurt, capers, garlic, fresh dill, lemon zest and juice, salt, and freshly cracked black pepper. Then, allow the sauce to marinate when you prepare the remainder of the ingredients. A little sandwich with a huge amount of flavor. 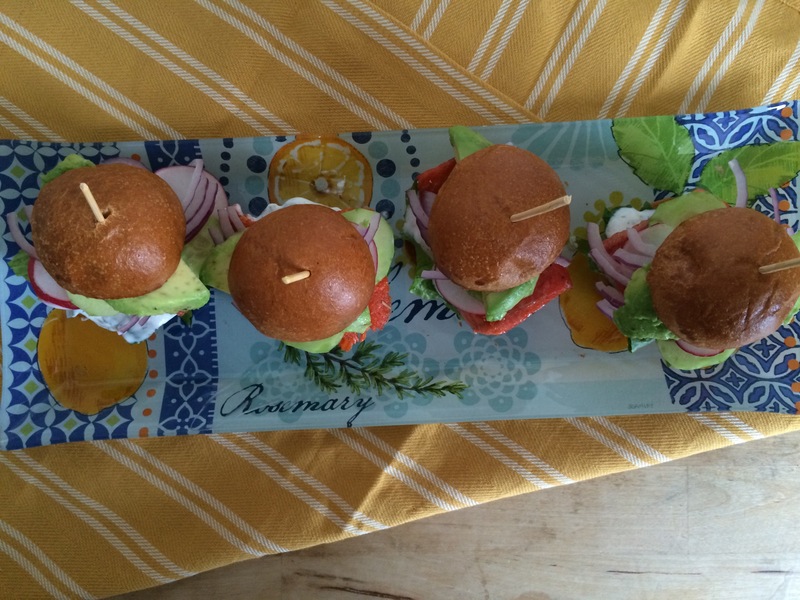 These sliders are ideal for game day, a cocktail party, or a family brunch. Sandwich in one hand, cocktail in the other. We’re all in sunny warm weather, as long as these sliders are on the menu. 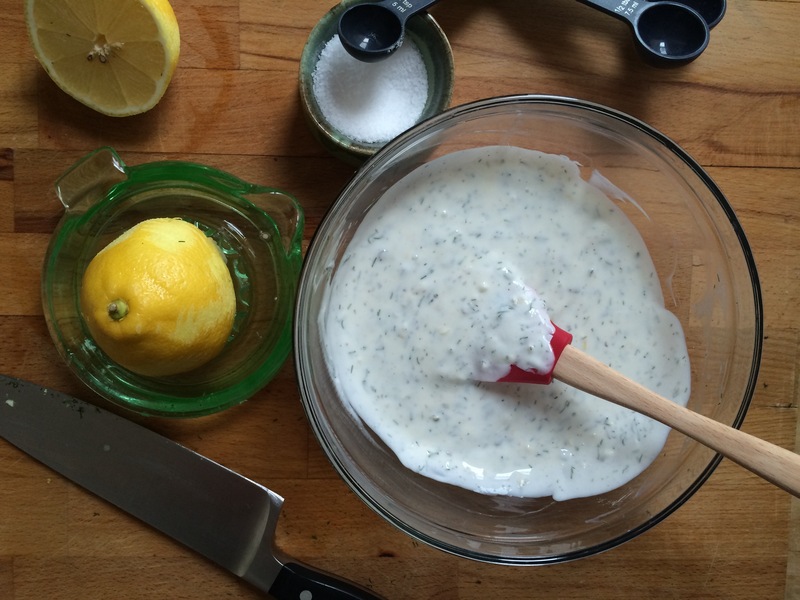 In a small bowl, combine yogurt, capers, garlic, dill, lemon zest, lemon juice, salt, and freshly cracked black pepper. Reserve in the refrigerator until ready to use. 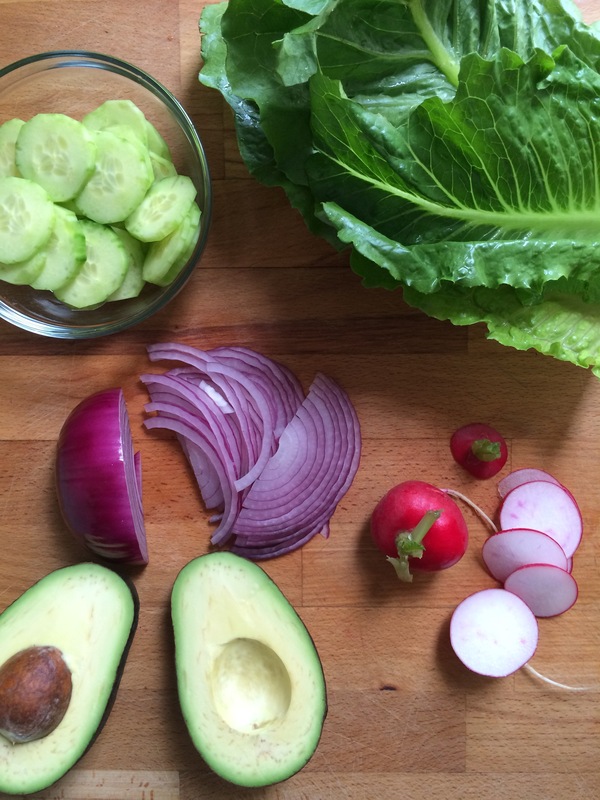 If you haven’t already done so, prepare your slider toppings – red onion, cucumber, radish, avocado and lettuce. Next, prepare your salmon. You can ask your butcher to remove the skin when you purchase the fish, or follow these instructions. 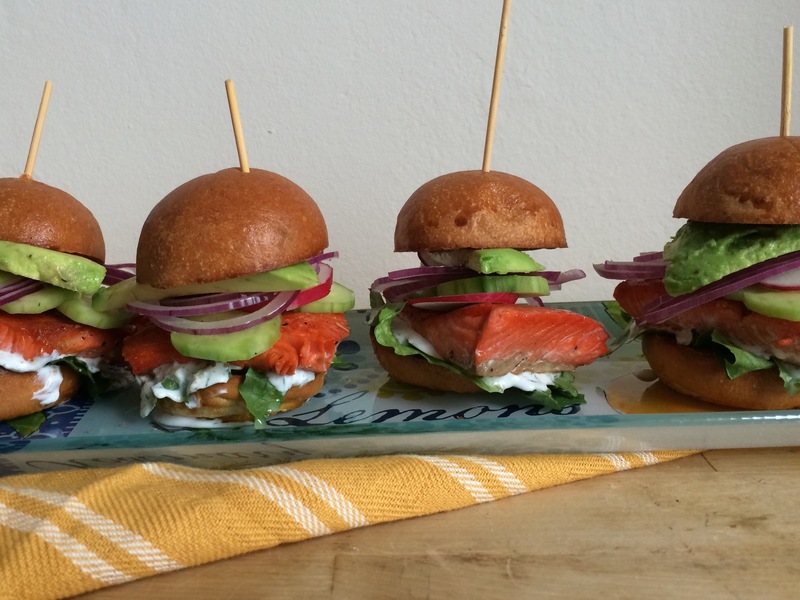 Cut salmon into 6 equal pieces, roughly the size of your slider buns. Season both sides liberally with salt and pepper. Heat a large pan over medium high heat, add oil, and sear salmon for 2-3 minutes per side. I like my salmon slightly pink in the center. Note: Recipe easily doubled to serve a crowd. You will have plenty of caper and dill yogurt sauce left over. If you double the recipe, no need to double the sauce. 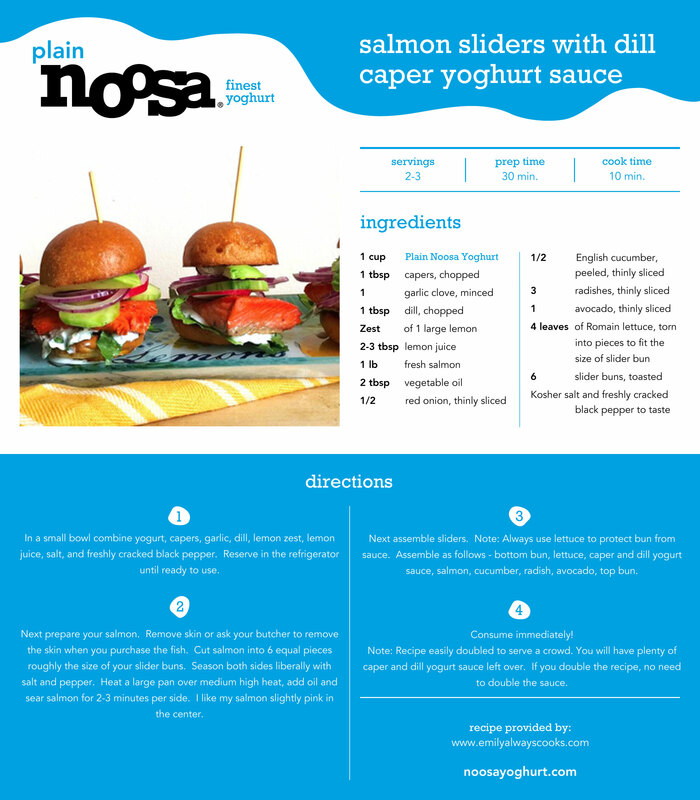 * Thank you Noosa Yoghurt for the incredibly delicious yogurt used in this recipe. It’s tangy, thick, velvety, and ideal for a sauce. I used their plain yoghurt in this particular recipe. Their flavored varieties must be mentioned as well. A simple combination of plain yoghurt and a fresh fruit puree. Noosa yogurt is a welcomed addition to my refrigerator! Yeahhh buddy! That looks ridiculous! Boom! Yum! 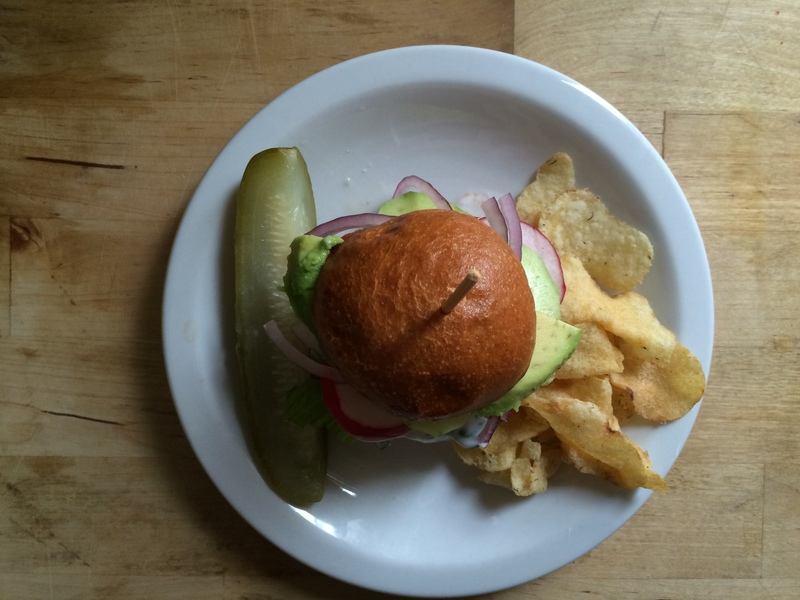 Keep your delicious recipes (and photos) coming!